Our abundant and affordable natural gas resource in Pennsylvania is producing energy savings for the state’s transit systems and environmental gains for all. In recent weeks, a number of compressed natural gas (CNG) fueling stations have opened around the Commonwealth – delivering a cost-effective and clean fuel alternative for public transportation. These new stations are being constructed to fill the needs of the growing number of clean-burning CNG powered buses throughout Pennsylvania. In Lehigh and Northampton Counties alone, 10 new CNG buses just hit the road over the past few weeks, with plans for 10 more in the works. And Rabbit transit in Central Pa. recently opened the 14th of 24 planned CNG stations there. 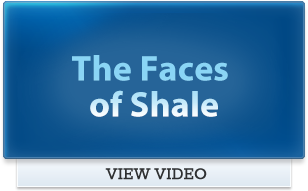 What’s more, communities are experiencing the benefits of switching to clean, CNG buses, including more reliable means of transportation and environmental progress – all thanks to shale gas.